The computer education is given to the students who have completed the Degree courses. The courses comprises of Tally, MS Office, Java, etc., The nearby village people are benefitted through this programme. Devlokh Trust aimed at imparting a series of training and refresher training to instructors on Professional Coaching. It had a team of skilled instructors who taught the beneficiaries in a friendly manner by using logic and simple method. Each individual was given attention and closely monitored by the instructors to achieve an International Standard quality in driving. Both the genders have benefited through this programme. In future, the driving license will be processed by the trust for the trainees. This project budded newly at Devpura, Haridwar which dedicates focus on the Health related services for all the age groups. Pranayama Yoga is an Art of Breathing. Pranayama Yoga also goes hand in hand with the Asanas. The union of these two Yogic Principles is considered as the highest form of purification and self-discipline, covering both mind and body. The major programme target is to provide effective services to all the age groups especially people suffering from disease such as Diabetes, Blood Pressure, Depression, Cholesterol, Obesity, Asthma, Heart Disease, etc., The course period is from 7 days to 7 weeks depends upon the individuals need. The classes are conducted from 6 a.m. in the Devlokh Trust premises in groups and individual sessions. As a follow-up of the programme, Yoga Pranayama Meditation classes are conducted in nearby Ashrams which is still rendering services to the needy people. In Chennai centre, the Yoga Pranayama Meditation Training is initiated for the Special Schools in Chennai. The Special School Staff and Students, Parents of Intellectually challenged children and people who are willing and interested also join the Yoga class. This shows a good result and feedback from the beneficiaries. Moreover, Devlokh Trust is stepped into challenging task such as Yoga Class conducted for HIV/AIDS affected people. The Primary School aims at promoting education with broader sense of imparting the children, the human values and culture. It focuses on seeding good behaviors and hope in every child’s mind. Many children in our community are abandoned in one way or the other that block their way to enter in to the world of education. Devlokh Trust has taken efforts in helping those less fortunate children providing them with facilities like education, transportation and supplementing things like books and stationary items. With the strength of around 200 students the school provides quality and value based education from L.K.G. up to 5th standard at free of cost. The school has a fully equipped library, science lab, computer lab, play ground and other facilities. The School got recognition in the year 2009.The children are educated as day scholars and the regular curriculum which is stipulated by the Education Department of Government of Uttarakhand (U.K) – Hindi as a primary language – Medium is followed. It is the time to highlight that this is the first ever school in Devpura to provide Spoken English Class, Computer Education and Personality Development Class along with the regular academics. In future, the trust has the proposal to increase the grade (higher classes) in the succeeding years. Devlokh Trust President visited the Panchayat Union Middle School at Pudukkulam, Nanguneri TK, Tirunelveli and it was found that there is lack of teachers. So, immediately steps were taken to appoint 2 Secondary Grade Teachers – full time and Computer Instructor – Part time on behalf of Devlokh Trust. 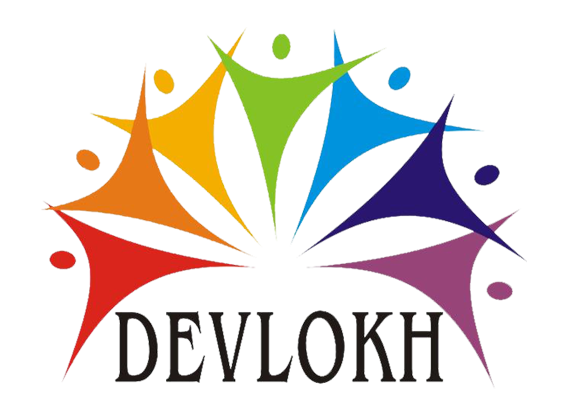 The consolidated monthly salary is contributed by Devlokh Trust. This was intimated to the A.E.E.O and counselor. In this mechanized world, Human beings have been restless and migrating in order to save money and materials. The basic culture and customs are out of their mind, lacking of time to spend with the aged people. This leads to general stress and tension among the families. Thus, aging brings a negative aspect in everyone’s mind that being in the world of loneliness. Special attention is highly on the health aspects of the senior citizens. Perceiving all these in mind, Devlokh Trust created a Recreation time where aged people get-to-gather on Fridays and evenings (week days). They practice Yoga and Meditation and discuss about the activities of the Trust to enhance in a better way. They also stay back during holidays in the nearby Ashrams in order to relax themselves. In future, the trust aims to build an Old Age Home for the senior citizen which includes Shelter, Food Accommodation and Recreational activities. The clinic is run for the outpatients inside the trust premises and the medicines are provided free of cost. The General Physician as a Duty Doctors and nurse work in a medical team and the entire surrounding areas are covered. In future, the trust have the proposal to built and establish a ten bedded hospital for both in-patient and out-patient at free of cost. In addition to it, the mobile medical camp will be conducted regularly by the Medical team to the nearby villages – Rural areas. To be able to support children to pursue education. To improve the health standards of the local community. To provide shelter and support for the senior citizens.